Who is running the show? That is an interesting question, especially when it comes to religion. As part of the Protestant "Mainline," I know that once we played a dominant role in society. That is no longer true, and hasn't been true for some time. Martin Marty, who knows the American religious scene better than almost anyone, having been engaged in the study of it since before I was born, speaks to our situation in this Sightings essay. In this essay he offers some important insights he gleans from a newly published book by Mark Wild, which focuses on the heydey of liberal Protestants and our fall -- the so called "boom and bust." It is a sobering picture, but one we need to be aware of. Having a son who went to film school, I appreciate his use of the the phrase "show runner" (the person who produces a film/show). I offer this essay for your thoughts, especially as we who are part of this liberal Protestantism seek to discern a path forward. Are there wise amongst us? 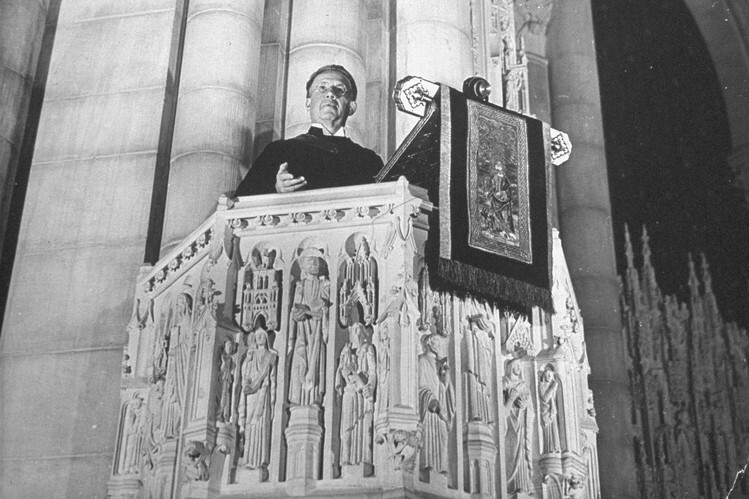 Harry Emerson Fosdick delivering a sermon from the pulpit of Riverside Church in New York City. Whitehead and Mead were trying to capture some of the meaning of how “wise” hopers hoped. Their summaries cited the many instances and ways in which one set of people in effect “ran the show” for the broader American culture. Indeed, it is useful to find and name such potent “showrunners” in other ages—those individuals and groups who have been influential in shaping American culture, from the national level on down. In the past, it was easy to find and name such “showrunners,” especially when religion was established by law or when a group was large enough to mobilize for the purpose of dominating in the “prevailing climate of opinion.” In the Colonial period, the culture shapers were mainly English Protestants, even though they were forced to yield much of their cultural power when they split into “The North” and “The South.” Still, it was people defined by Protestant versions of faith who ran the show nationally and for a very long time. 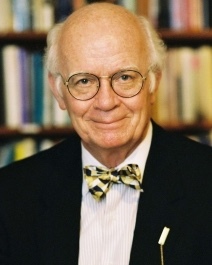 It is possible, though perhaps increasingly less so, to speak meaningfully of subsequent cultural moments in such decisive terms as, for example, “The First Great Awakening,” “The Second Great Awakening,” “The Gilded Age,” “The Great Depression” (in religion), and the post-World War II “Religious Revival.” That said, Mark Wild, a historian at California State University, Los Angeles, impressively chronicles and ponders features of the most recently displaced of these in his book Renewal: Liberal Protestants and The American City After World War II. Wild does not focus on, for instance, non-liberal Protestants beyond the cities (e.g., Evangelicals), yet his approach reflects the aura and energies of “public religion” in his chosen period. Ever since Wild’s “liberal Protestants” began to be seen as less wise and less hopeful than before—in the 1960s and 1970s—there have been debates as to who is now “running the show.” Though “Mainline Protestantism” had previously won out, its grip on American culture increasingly weakened. One chapter in Wild’s book signals “Boom and Bust” for it, and the signs of this are manifold in the dwindling statistics of its denominations and their perennial controversies. For example, the flagship “Mainline Protestant” denomination, United Methodism, is fracturing before our eyes to such a degree that no one could realistically expect it to any longer “run the show.” My own book-length attempt at measuring these trends, written during the period Wild treats, concentrated on the moment when “Religion in General” prospered and held sway in the shadow of Robert Bellah’s “Civil Religion.” Since then, the label “Mainline Protestantism” has gained dominance for describing this group of showrunners. Meanwhile, Whitehead’s “wise men” had their boom in post-war Catholicism, especially following the Second Vatican Council. But now they are also experiencing something of a bust, or at least a semi-bust, due in no small part to the sexual abuse scandal among its priests. Next came the new “Evangelicals,” who aspired to run the show but now suffer from scandals of their own making (e.g., their boom-seeking fiscal aspirations, their all-too-familiar celebrity-seeking overreach, and their own recurring financial and sexual scandals). Mark Wild’s noteworthy Renewal deserves attention on its own, especially as it throws light on how liberal Protestantism held sway over the “climate of opinion” and then lost it. It serves as a case study in the rise, dominance, and fall of America's "showrunners." Renewal is a disciplined, well-researched essay, with footnotes that offer information, inspiration, and calls for further research and study (e.g., Wild urges us to think about the implications of his study beyond “The American City” after World War II). I can think of few better reckonings with the liberal Protestant efforts to invent new ministries and even new theologies to help “wise” leaders not only cope with the challenges of the times but perhaps even to thrive. Read Wild if you are ready to review and ponder the standard narrative of mainline Protestantism and the postwar "Religious Revival." He also gifts us with a bonus chapter on advances and experiments in African American churches, though he perhaps devotes too few pages to the role of women in “Renewalist” ministries. Expect criticism of such limiting elements, but also know that Wild-like efforts will follow that devote more space to women leaders who were pioneers in the past and who continue to set some of the cultural terms today and in the years to come. Wild’s penultimate chapter is accurately titled “Boom and Bust.” As a member of the generation who shared many of the good intentions and visions of the leaders so well treated by Wild, I often asked myself as I read: What could be if, once again, “wise men and women” hoped in the face of “new circumstances?” Post-bust, Wild notes that “the mainline is not the force it once was, yet communities of faith persist in the (supposedly) secular city. 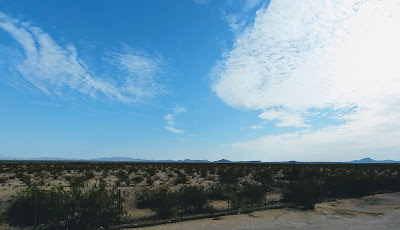 Other renewal movements, perhaps grounded in different congregations, will shape and be shaped in the environments in which they operate.” They may not “prevail,” but while they “persist” they serve new generations in old and new ways, carrying on the mixed traditions inherited from wise people who hoped and acted in faith and love.